A new year and after a very difficult few months, I am suddenly thrown into a new move without drawing a breath. It all seemed to open up in front of me so suddenly, but it feels so right! On February 21st I am relocating to the most amazing place where I can combine my living and working space. It’s not far, in fact only a few minutes drive from here but so different from the centre of Rye. It will also help with productivity having everything all in one place, in an astonishingly inspiring location. The larger space means that all of you who have been asking me when I will be running courses again can come there and spend a day or two learning hand embroidery, enjoying the views and sharing some creativity together. So bear with me if orders are slightly slower than they should be over that time. Here I am amongst the beginnings of packing up not only my home but the old studio too. I seem to have spent the last 10 years shoving boxes into my car and lugging them up and down stairs, then back in the car … the charity shops round Rye have taken the equivalent to a house full of stuff this last few weeks. But having thought I was going to have to downsize, I now have so much space I can give the last precious nonsense of years of unnecessary possessions a reprieve for a while. But at least now I can take more time picking over the debris of a lifetime. Once settled I can get to work again on the new kits and eventually a series of embroidery handbooks I have been mulling over for some months now. 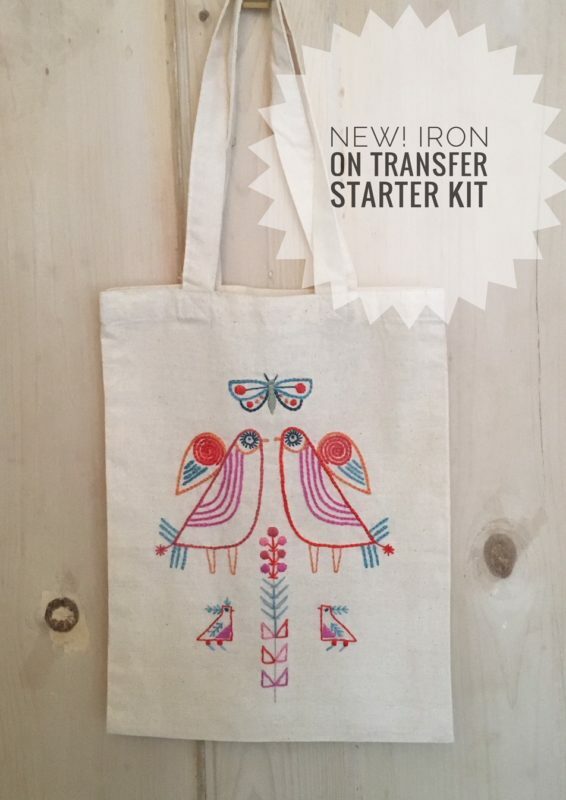 These will include the Iron on Starter kits which I did not manage to get online before Christmas. 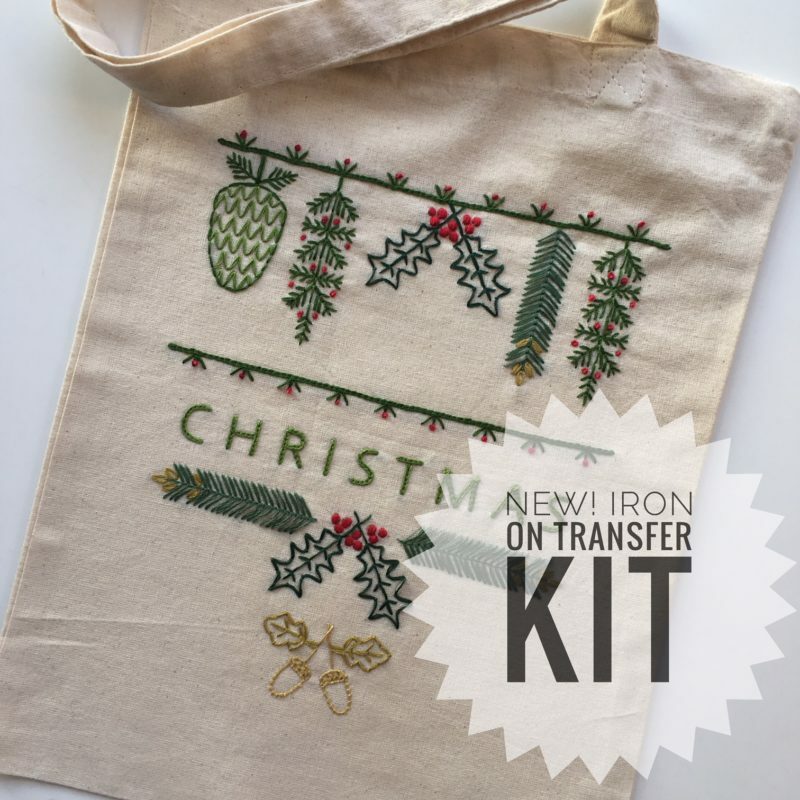 They will come with iron on transfer, stitch guide, needle and thread and a plain tote bag which you can use to try out the transfer, or use to transfer pattern to other fabrics of your choice. All packaged up in a box to keep your project in while you work. There are four designs altogether, here I am showing three just to give you an idea. I hope they will be ready and online to buy before the big move … announcement forthcoming, here and on social media. 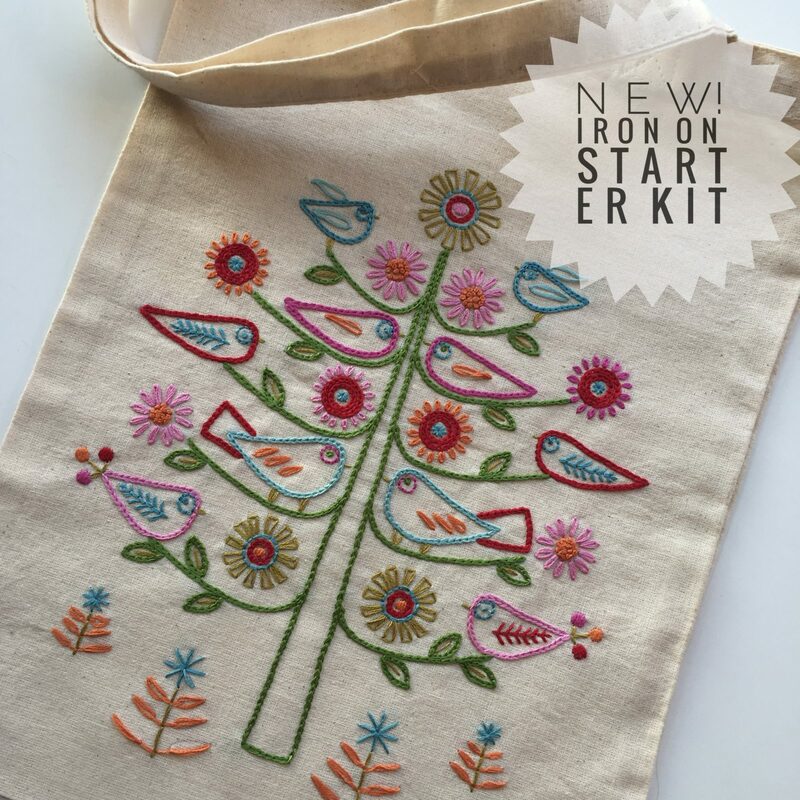 This entry was posted in Blog and tagged Embroidery kits, Iron On Embroidery transfers, new kits.